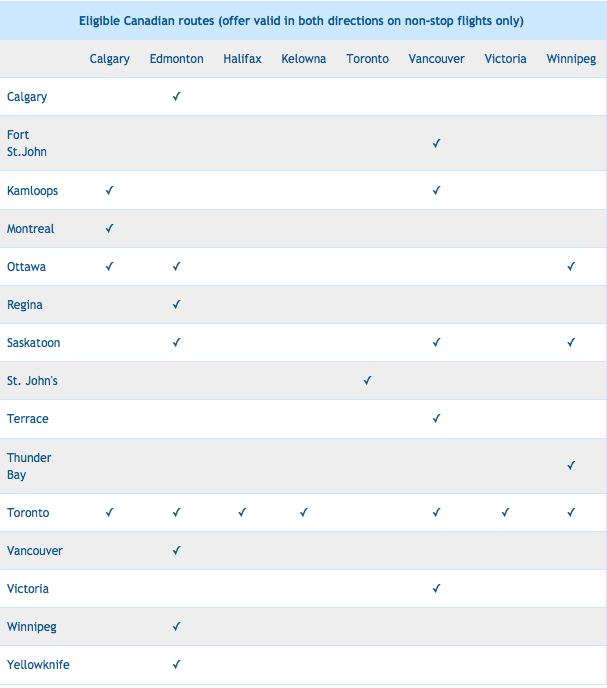 WestJet has decided to match last week's Air Canada targeted offer of Double Miles with a non-targeted offer for select flights within Canada. An extremely smart move in our opinion as there are Aeroplan members who were not targeted to earn Double Aeroplan Miles and some just may be swayed to move their upcoming travels to WestJet to earn Double WestJet dollars! I see this especially true for the price sensitive and those who will not reach elite status on Air Canada this year or already have status and can move flights away from AC as they don't need the status segments or miles. Want to earn even more WestJet Dollars? Check out our Bonus WestJet Dollars page for other bonuses!